This is a stacked image of 30-second exposures spanning a period of a little over one hour. The foreground was lit by firing off a flash. The frames were stacked in Photoshop and blended in lighten mode with the opacity of the individual layers gradually increasing from 1 to 100% creating a sense of movement.in the stars. 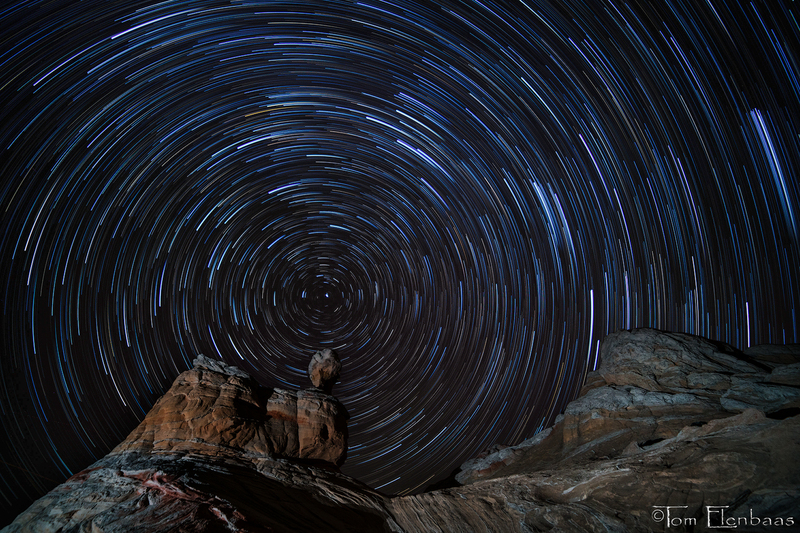 Star trails radiate over the rock outcroppings of White Pocket in Northern Arizona.